Don't judge your beginning by someone else's end. When I read these words by Demetria Lucas (aka A Belle in Brooklyn) the first thing I did was say, "Wow!" These are eye-opening words, for sure. The second thing that I did was share it on the Mommy Delicious Facebook page. 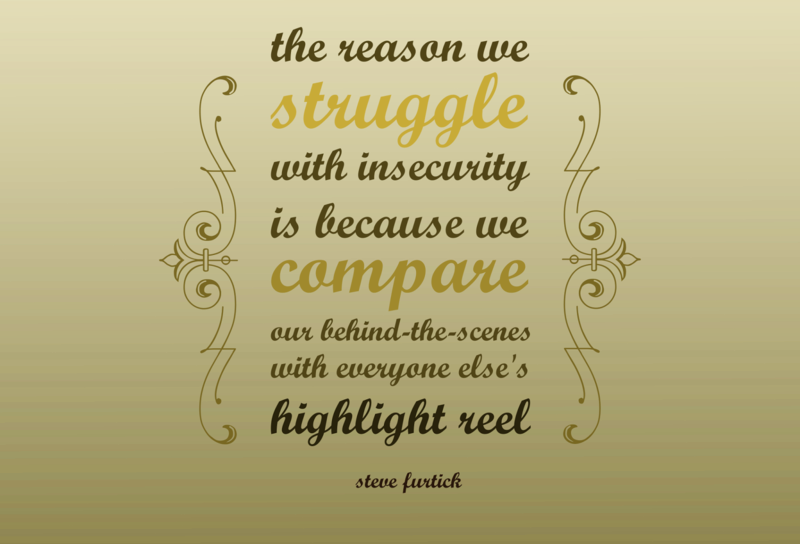 When I shared this quote on Facebook, one of my blogging buddies, Tara over on The Young Mommy Life commented with, "And don't judge your behind-the-scenes [life] by someone else's highlight reel." They got a new job while you're stuck in your same old dead-end job. They finished school, while you haven't even applied yet. They accomplished their weight-loss goal, while you're still trying to muster up the energy to workout 3x/week and the self-control to put down the cupcakes. They went on a fancy vacation, while you haven't seen the inside of a plane in years. They're proclaiming just how in love they are with the most amazing spouse ever, while you're still single... and looking. Their children are always nicely dressed, smiling, and seemingly well-behaved, while you can't get your kid to stop the tantrums and use their words. Here's the thing though: their journey is just that -- their journey. You see the glory, but you don't see the story. You don't see what's happening behind the scenes, behind the success. You don't see the sleepless nights, the long hours at the job, the power struggles with their kids, the disagreements with their spouse. You don't see all the things that you're also going through, the human things. I'm not saying that some people are lying about their lives, but they are putting their best foot forward. Real life is not picture-perfect. It's messy. It's a roller-coaster with ups and downs, twists and turns. You have your own journey to take, your own path to follow, your own mistakes to make, your own lessons to learn, your own goals to achieve. What's meant for you will come to you (with hard work, dedication, a little more faith, and a little more fight). When we start looking at everyone else's life, our insecurities somehow manage to triple and we focus less on achieving our goals and more on what we haven't achieved. 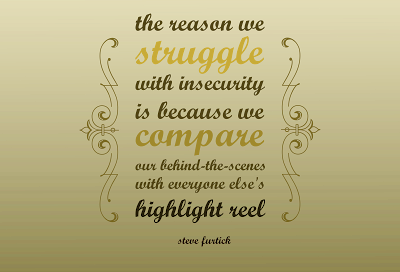 Don't compare yourself unfairly to other people -- it'll steal your joy and rob you of your "happy." Stay in your own lane and stay focused on your own goals!